The Simple set is an exceptional combination of aesthetically pleasing pots and great functionality. 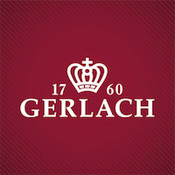 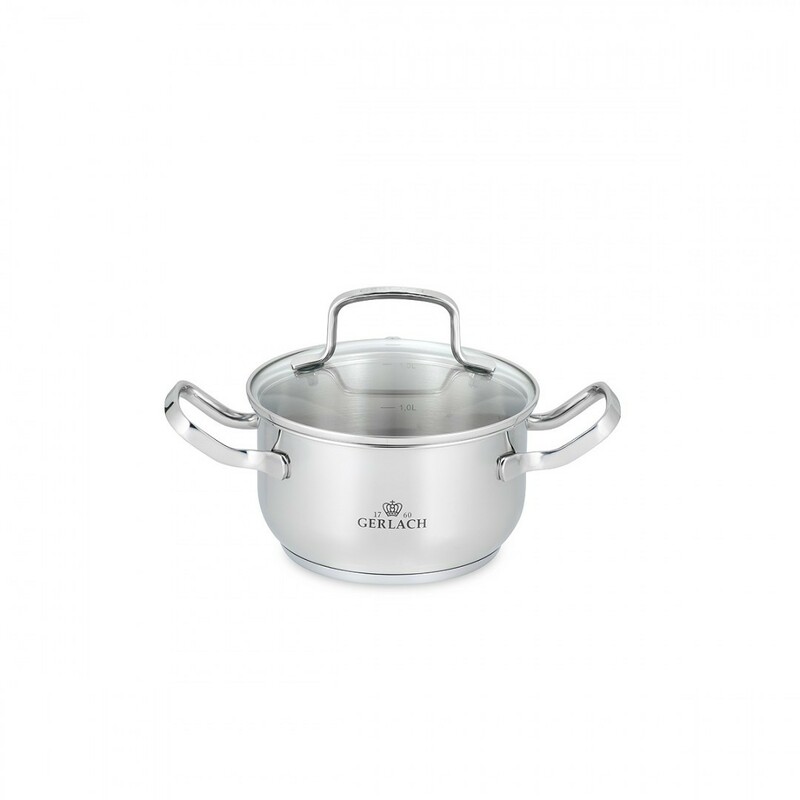 Thanks to their versatile sizes and capacities as well as practical features, all items from this set will prove to be of great help during the preparation of daily meals. 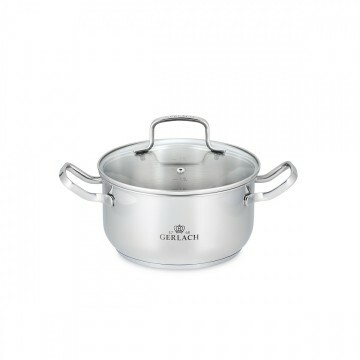 You can easily prepare homemade chicken soup, thick beef stew or aromatic gravies. What’s more, a special steam cooking vessel included in the set will allow you to discover the advantages of healthy eating, where juicy and colourful vegetables, full of vitamins and minerals, play a major role in your kitchen. 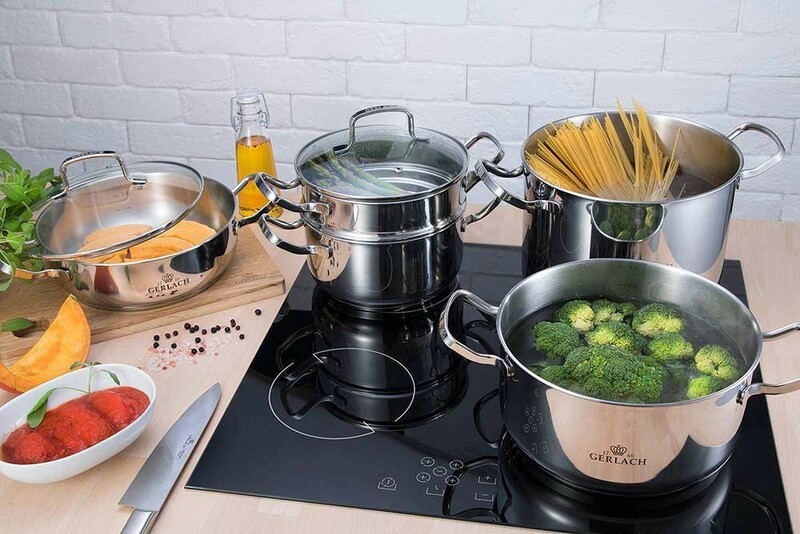 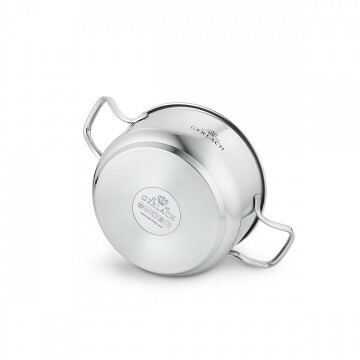 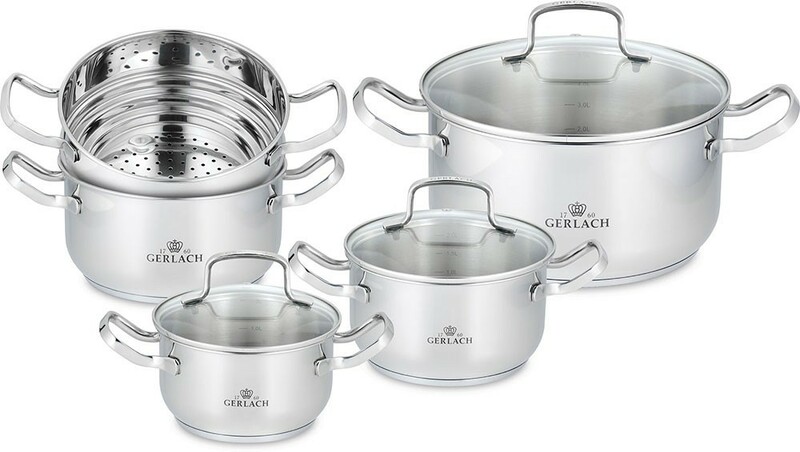 The Simple set is made of 18/10 stainless steel that makes it more resistant to rust, high temperatures, and damage, as well as dishwasher and oven safe (Caution! 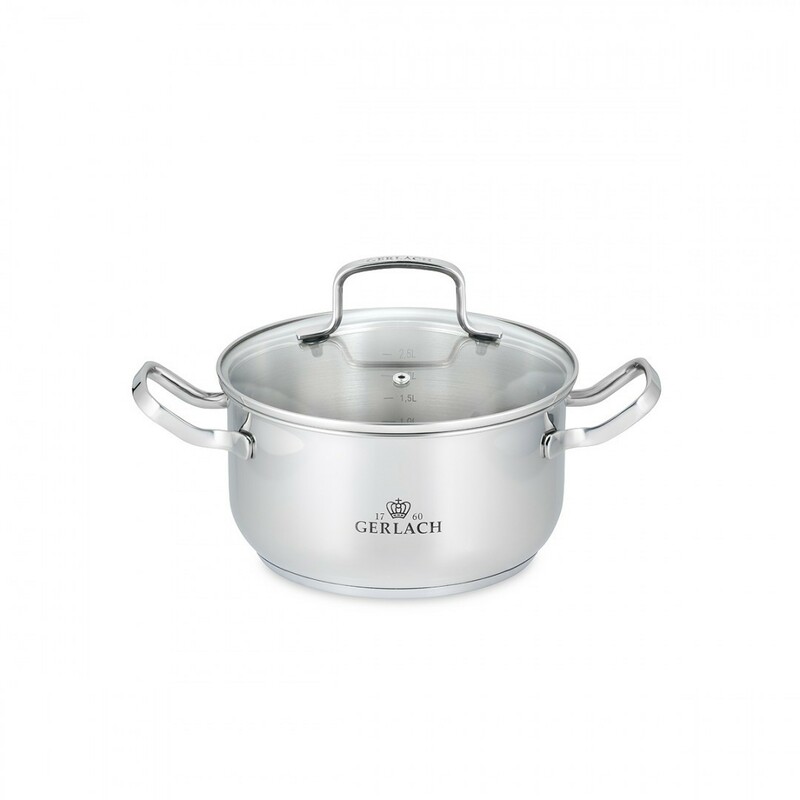 Temperatures above 180°C may cause discolouration). 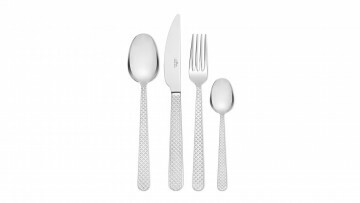 Every item of the set is characterised by a perfectly flat interior that is free of rivets. 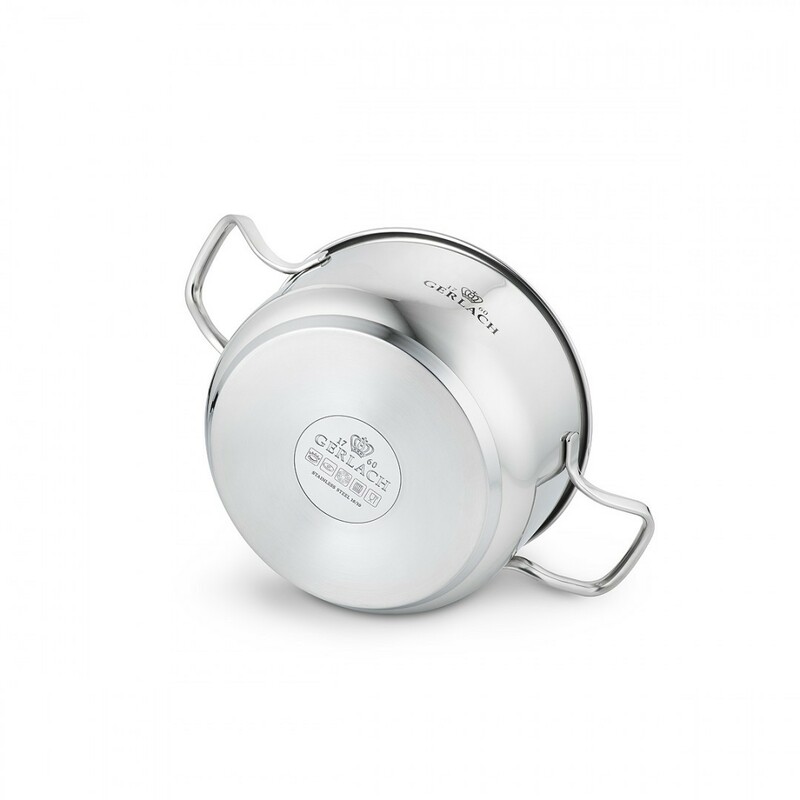 The Simple line pots are equipped with a fitted tempered glass lid that stands out thanks to its resistance to high temperatures. 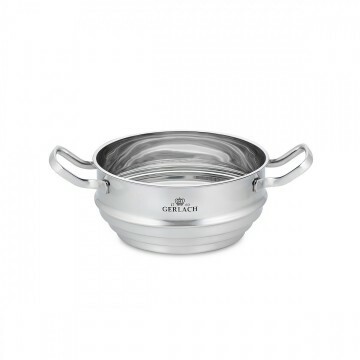 Additionally, the lid tightly seals the pot, preventing the water from leaking out with the loss of valuable nutrients. 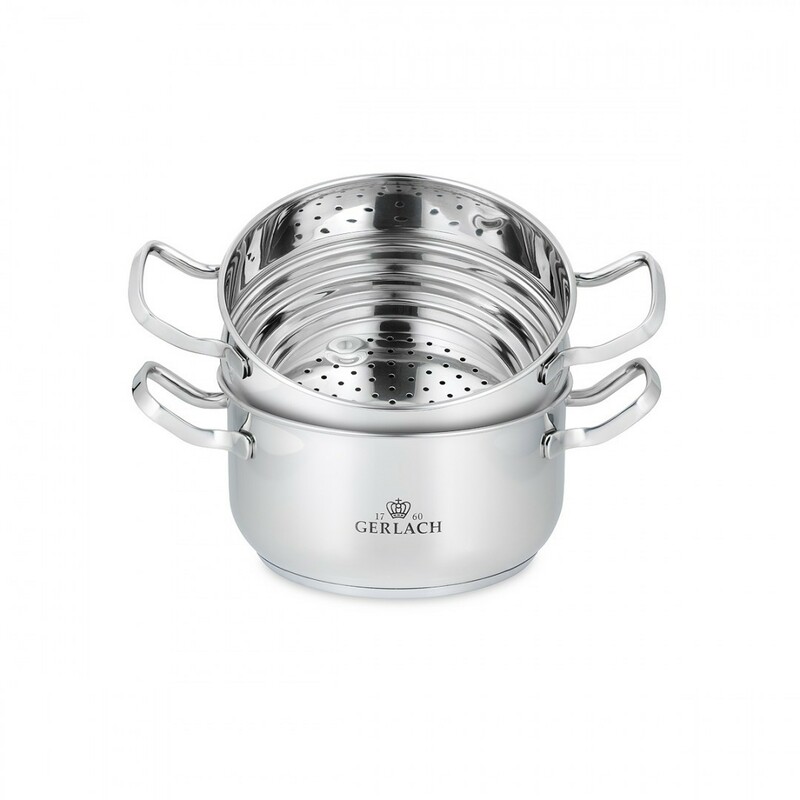 The lids are also equipped with special ventilation holes that reduce the excess water vapour in the pots. 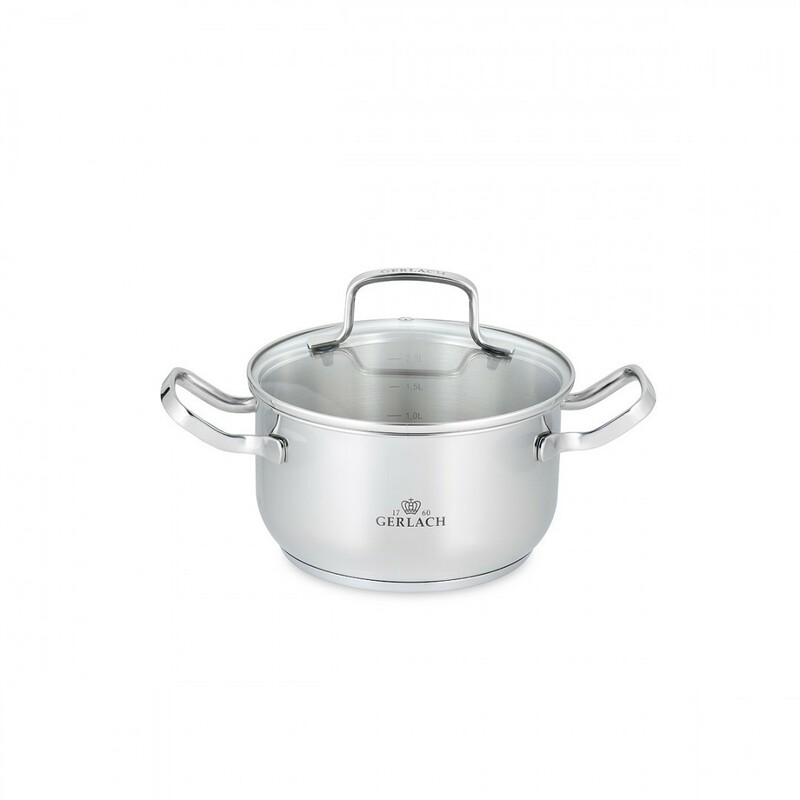 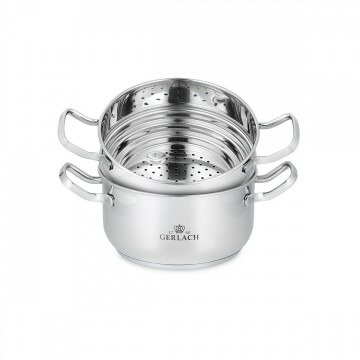 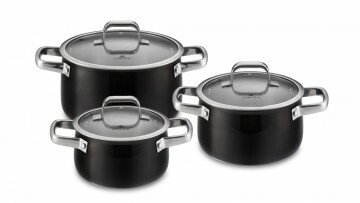 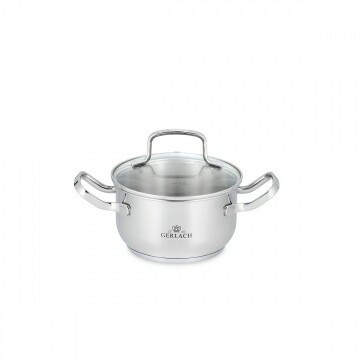 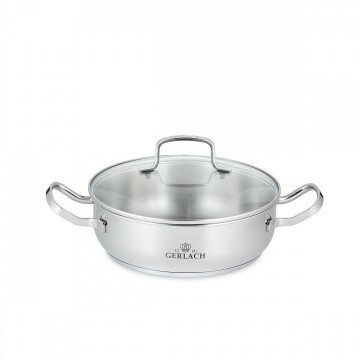 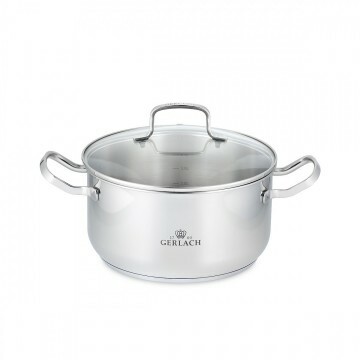 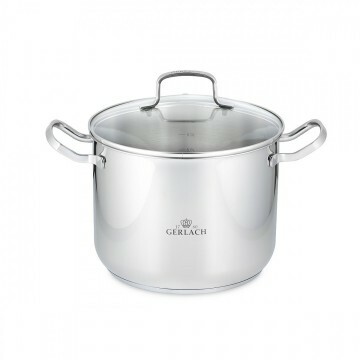 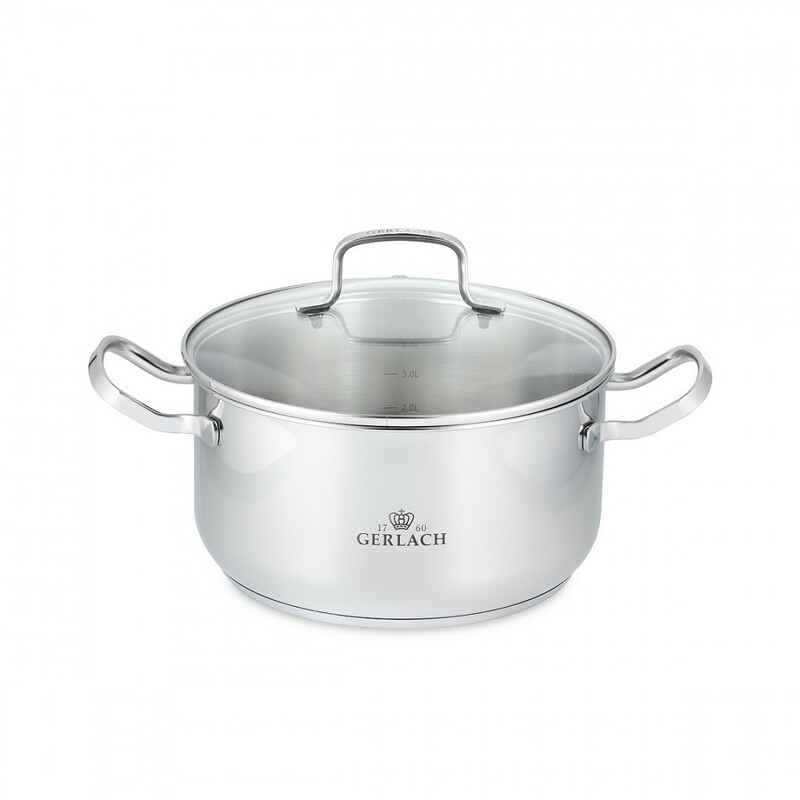 The pots are equipped with an inner measure that makes measuring the added ingredients easier.